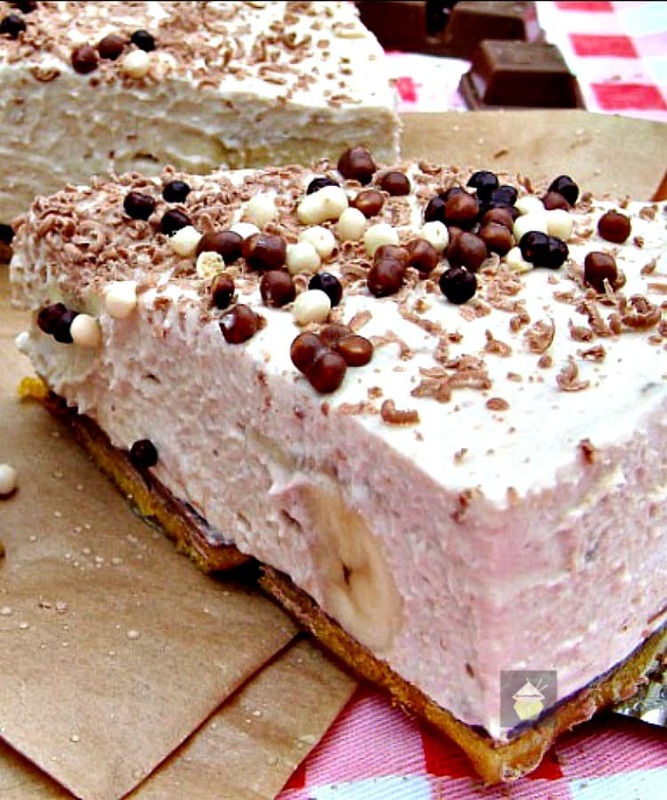 No Bake Peanut Butter Banana Cheesecake. 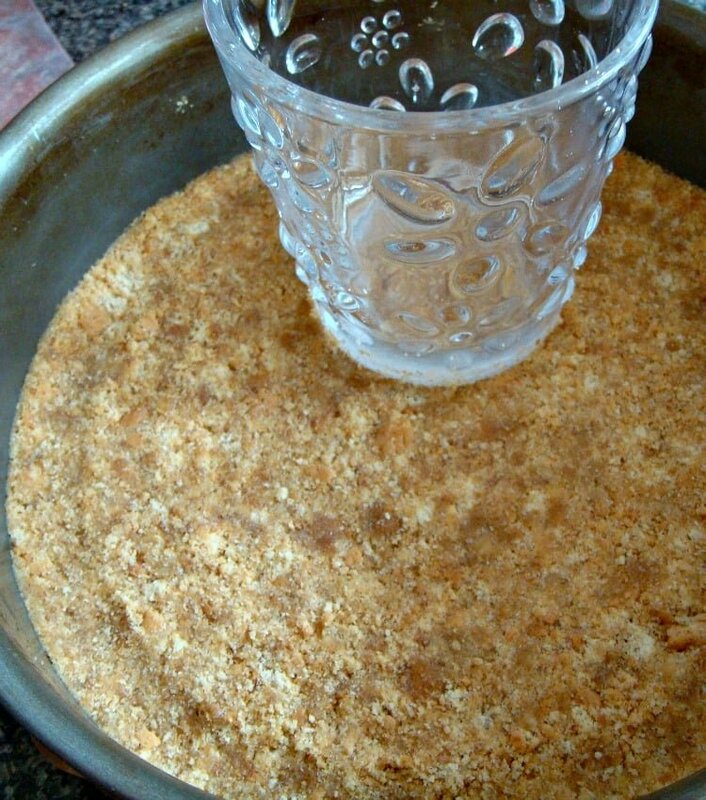 Super easy recipe, no bake and a chocolate chip cookie base! 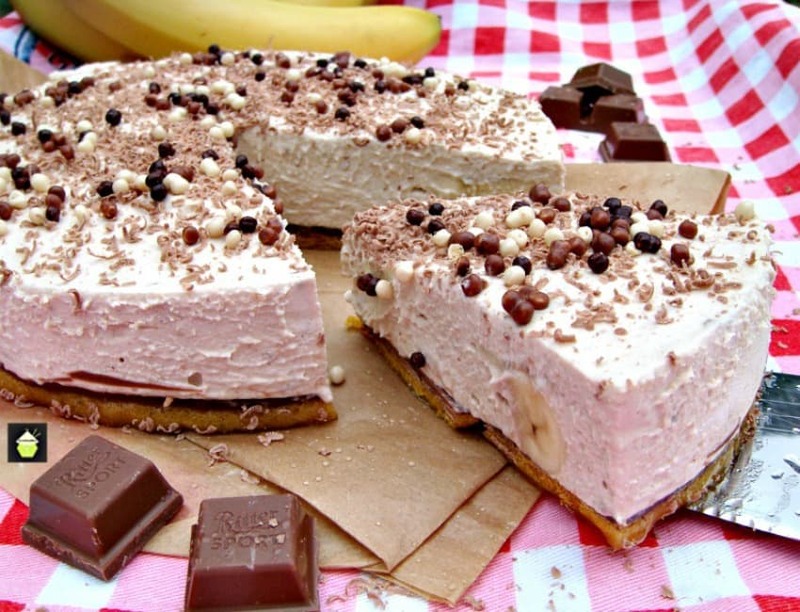 No Bake Peanut Butter Banana Cheesecake. Oh boy! 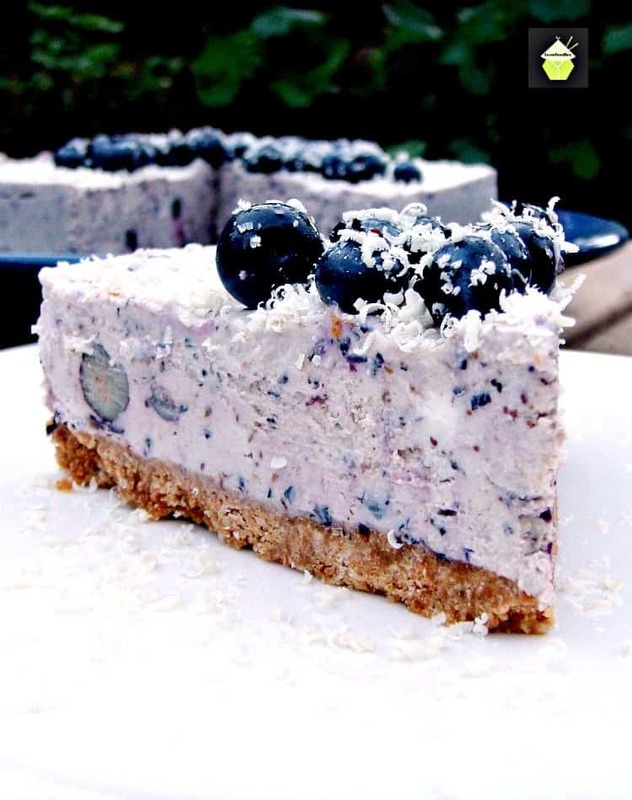 Super easy recipe, no bake and a chocolate chip cookie base! 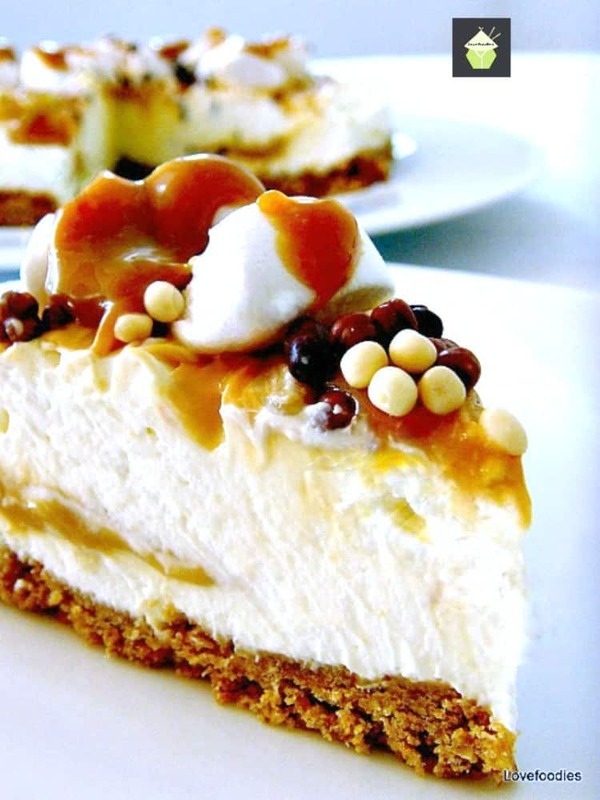 Peanut Butter Banana Cheesecake! This is so delicious! For the base I’ve used Chocolate chip cookies, then I’ve added a nice smooth layer of chocolate. Then on top of that, the creamy filling is full of banana, maltesers / whoppers and of course peanut butter! When you take a bite, you get the crunch from the cookie base, with a wonderful chocolate taste, then the filling gives you a nice contrast of banana chunks, plus the crunchy honeycomb from the maltesers / whoppers. 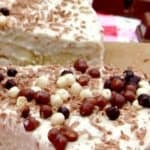 Served nice and chilled, this really is a most delicious dessert, easy to make and very addictive! 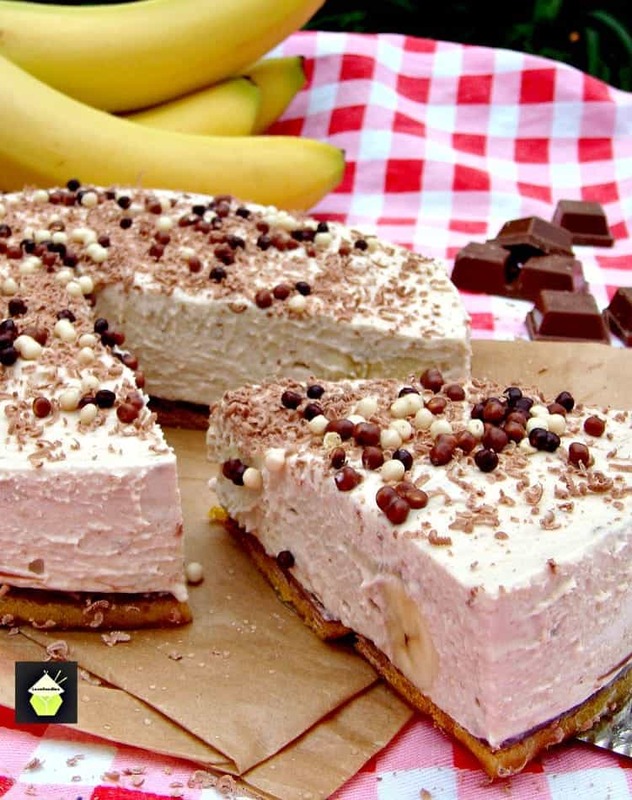 So let’s take a look at how to make this delicious Peanut Butter Banana Cheesecake. 8 oz or 220 g Chocolate chip cookies, crushed. 7 fl oz or 200 ml Whipping Cream plus 1 Tablespoon Powdered sugar. 1. 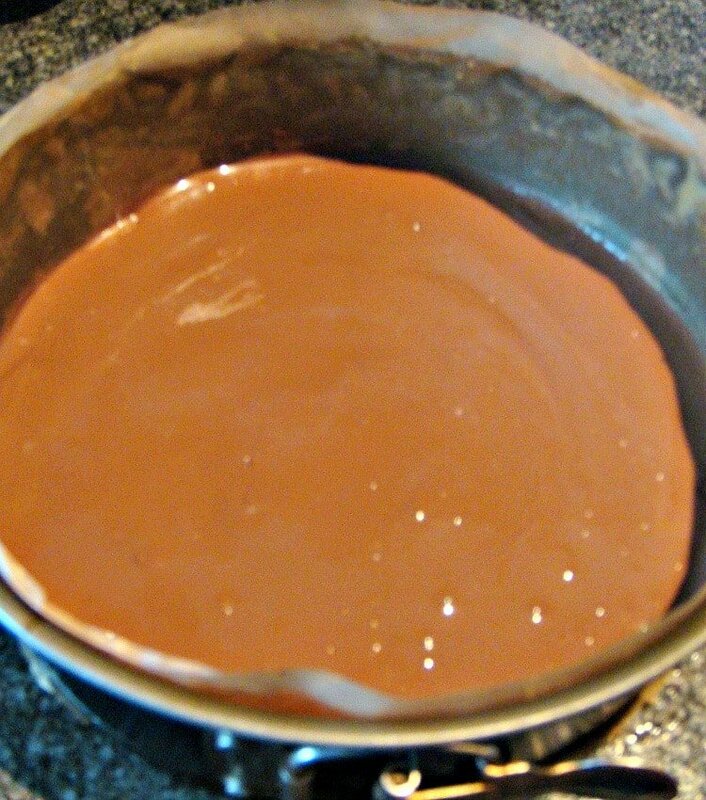 In a bowl over hot water, gently melt the chocolate. Whilst waiting for the chocolate to melt, crush the cookies and add them to your mixing bowl of melted butter. Combine well. 2. Grease and line (optional to line) your springform pan and place the cookies in the bottom. Pack them in hard and firm. I use the bottom of a glass and push them down hard. If they are not firm, the base will fall apart when you serve! **** I chose to line my pan simply because it is easier to remove later. 3. Pour the melted chocolate all over the cookie base and place in the fridge or freezer to set whilst you make the filling. 1. In a mixing bowl, place the Peanut Butter, 2 -3 Tablespoons powdered sugar (depending on your sweet taste! 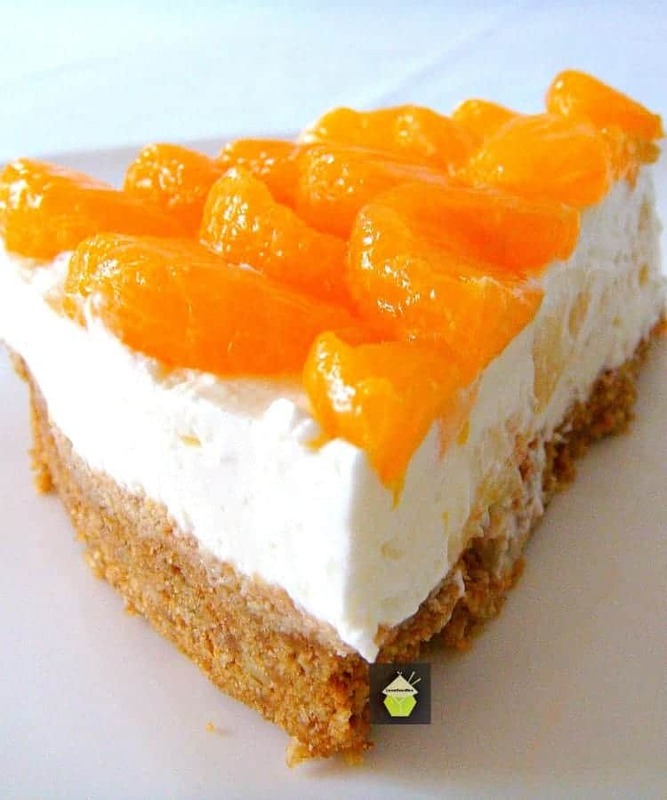 Try it and see if you need to add more sugar), 1 mashed banana and the cream cheese. Whip up until all combined and a little fluffy. Add the banana slices and broken Maltesers / Whoppers. Fold in gently so as not to break them. 2. In a separate bowl, whip up the fresh cream and powdered sugar. 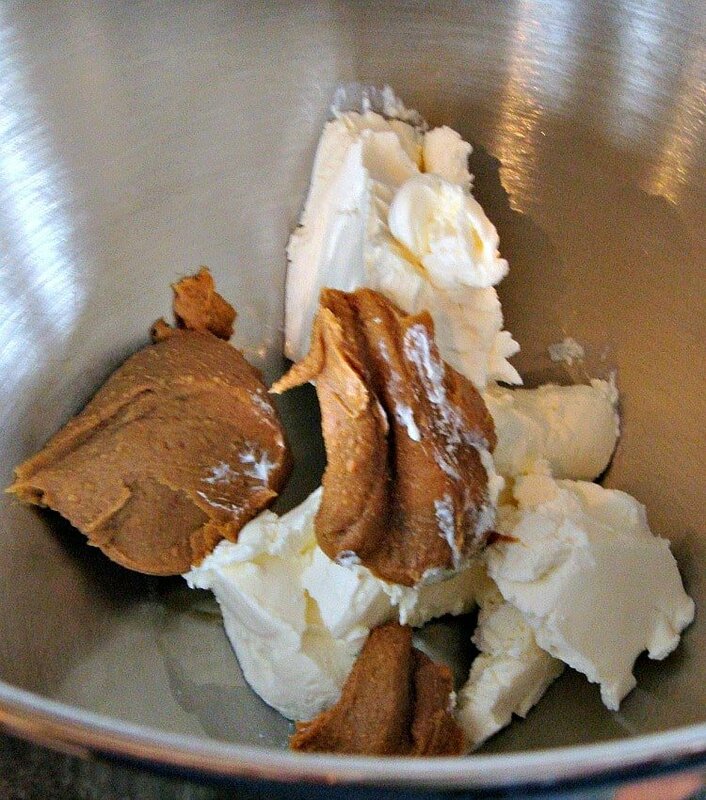 Then add the whipped cream to the peanut butter mixture, and very gently fold in until all incorporated. 3. Add the mixture to the pan and smooth over. 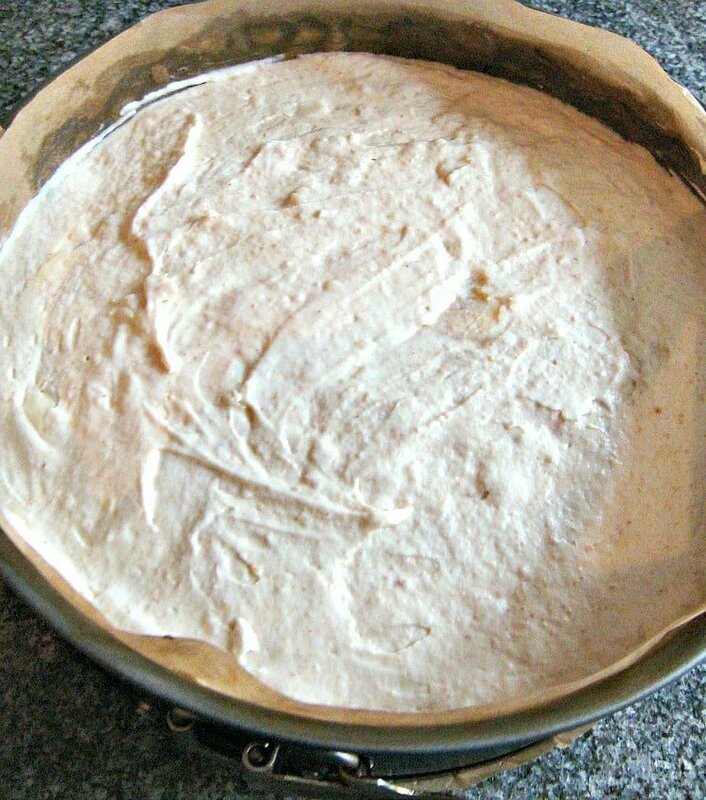 Place in the fridge for 4 hours to firm up then decorate the top how you like! Go wild with your decorations, grate some chocolate and sprinkle some mini decorations on the top. Make it fun! And there you have our Peanut Butter Banana Cheesecake! 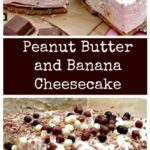 We’d love to hear from you and what you thought of our No Bake Peanut Butter Banana Cheesecake recipe. Did you make any changes or add some other goodies? Let us know in the comments below. Thanks for reading and happy cooking! 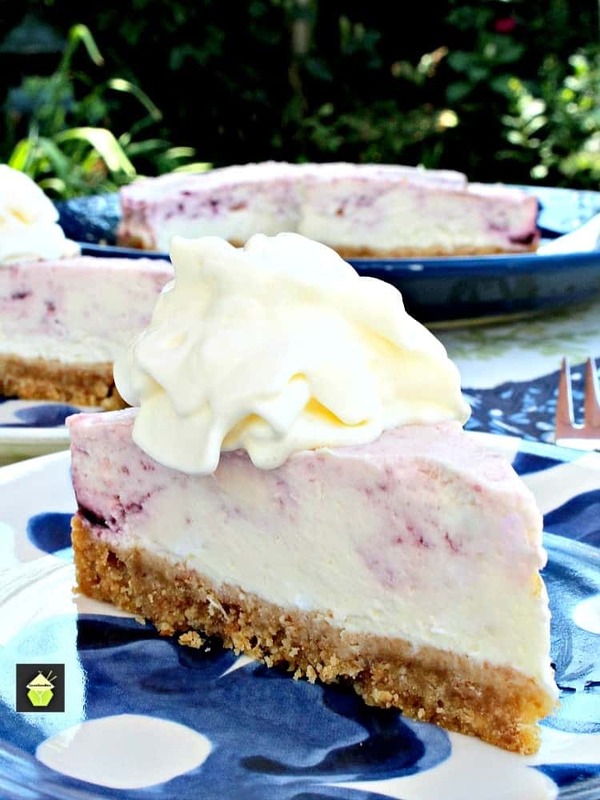 Here’s a few more of our delicious No Bake Cheesecakes for you to enjoy! 8 oz or 220 g Chocolate chip cookies crushed. 7 oz fl or 200 ml Whipping Cream plus 1 Tablespoon Powdered sugar. 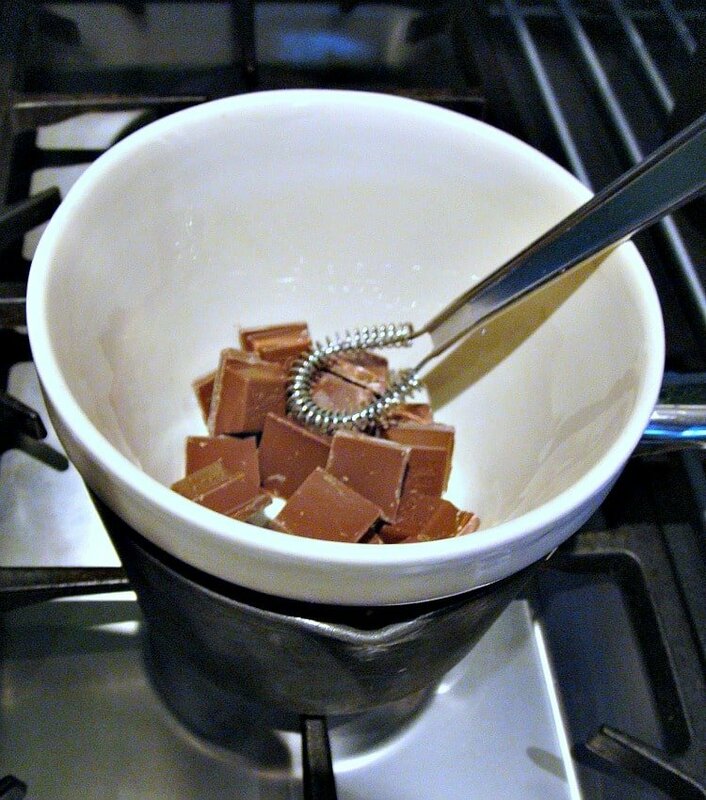 In a bowl over hot water, gently melt the chocolate. Whilst waiting for it to melt, crush the cookies and add them to your mixing bowl of melted butter. Combine well. Grease and line (optional to line) your springform pan and place the cookies in the bottom. Pack them in hard and firm. I use the bottom of a glass and push them down hard. If they are not firm, the base will fall apart when you serve! 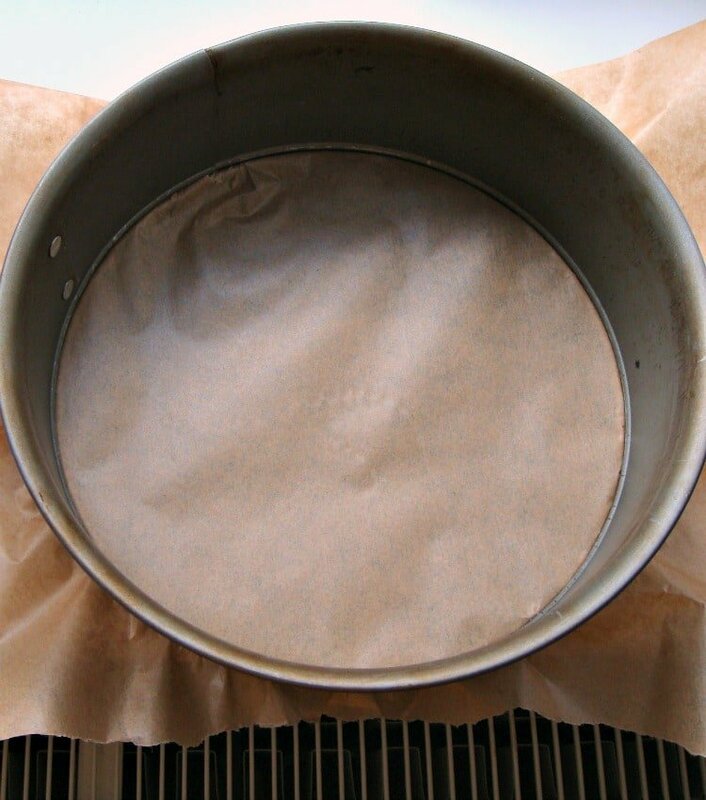 **** I chose to line my pan simply because it is easier to remove later. Pour the melted chocolate all over the cookie base and place in the fridge or freezer to set whilst you make the filling. In a mixing bowl, place the Peanut Butter, 2 -3 Tablespoons powdered sugar (depending on your sweet taste! Try it and see if you need to add more sugar), 1 mashed banana and the cream cheese. 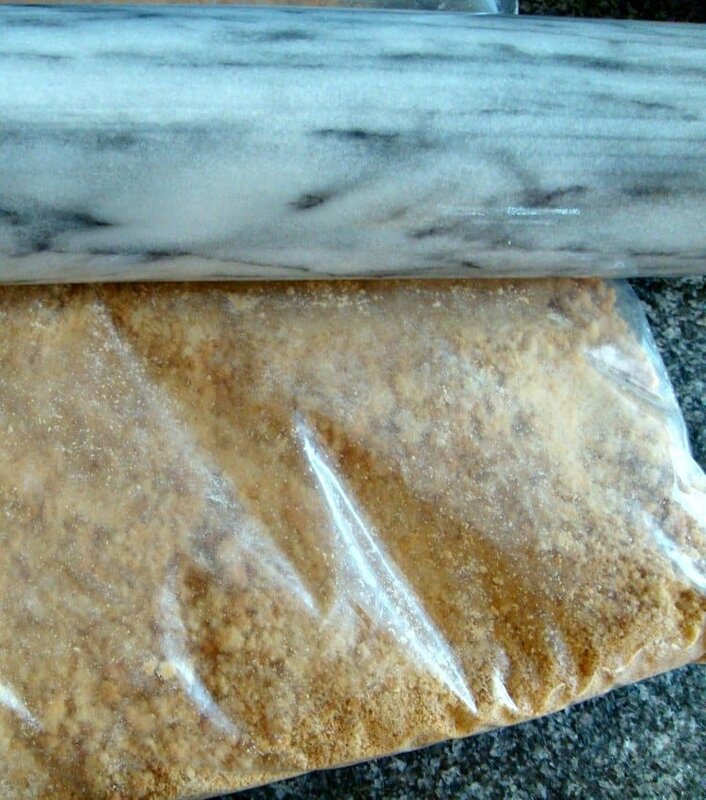 Whip up until all combined and a little fluffy. In a separate bowl, whip up the fresh cream and powdered sugar. 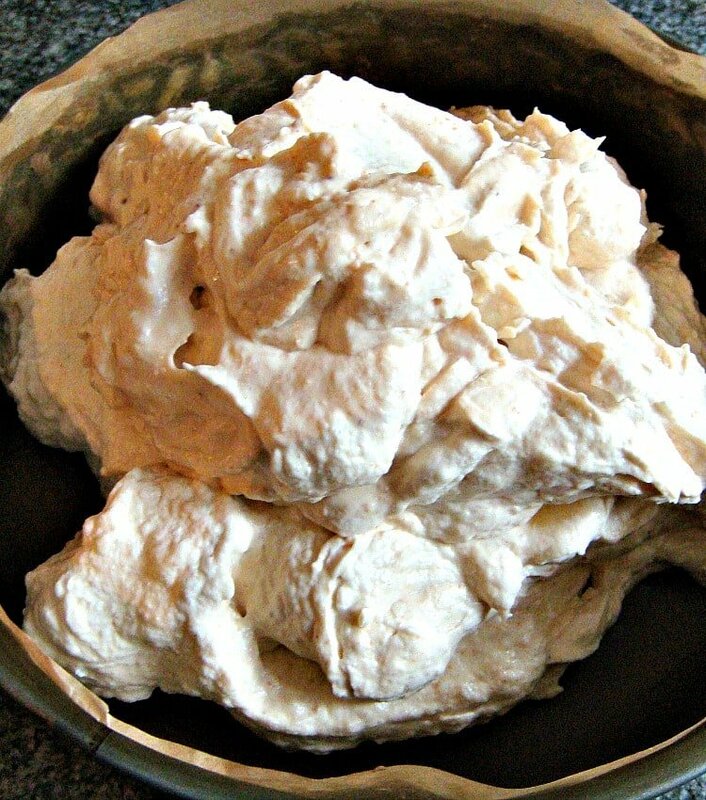 Then add the whipped cream to the peanut butter mixture, and very gently fold in until all incorporated. Add the mixture to the pan and smooth over. Place in the fridge for 4 hours to firm up then decorate the top how you like! Go wild with your decorations, grate some chocolate and sprinkle some mini decorations on the top. Make it fun! Hi Flo, that sounds really fabulous with the cookies you used. So glad you enjoyed the recipe and thanks for taking the time to write in and let us know. Have a super Sunday! What a wonderful pie! Love the crust as well as the lovely filling! Thank you very much April! i think this is the most creamy delicious peanut butter i’ve ever make , i really love to cook or try this stuff. I’m glad you like it! Please enjoy!